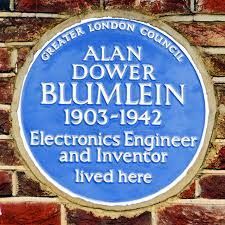 Alan Dower BlumleinAlan Dower Blumlein, the genius electronics engineer who at 21 was solving long distance telephone cross talk issues on the continent. At the age of 27 had filed British patent number 394,325 which was the invention of Stereo and at the age of 38 gave his life testing H2S Radar. 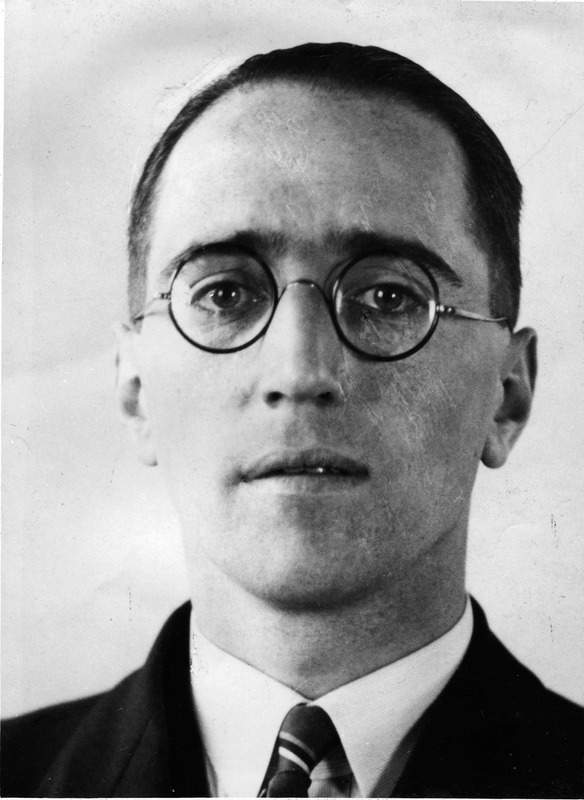 During his short but remarkable life, he filed 128 patents. 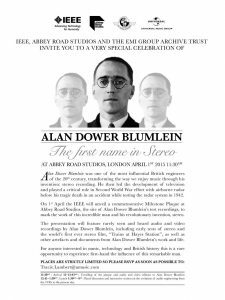 Alan Blumlein - Place of residence plaqueThis Blue plaque is located on 37 The Ridings in Ealing London W5. It was the house Alan Dower Blumlein owned at the time of his death. 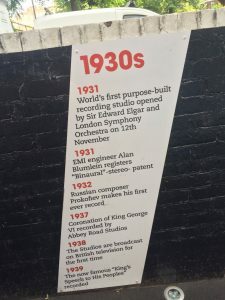 Abbey Road Timeline - 1930sA timeline on the path to the Abbey Road Shop next to Abbey Road Studios. 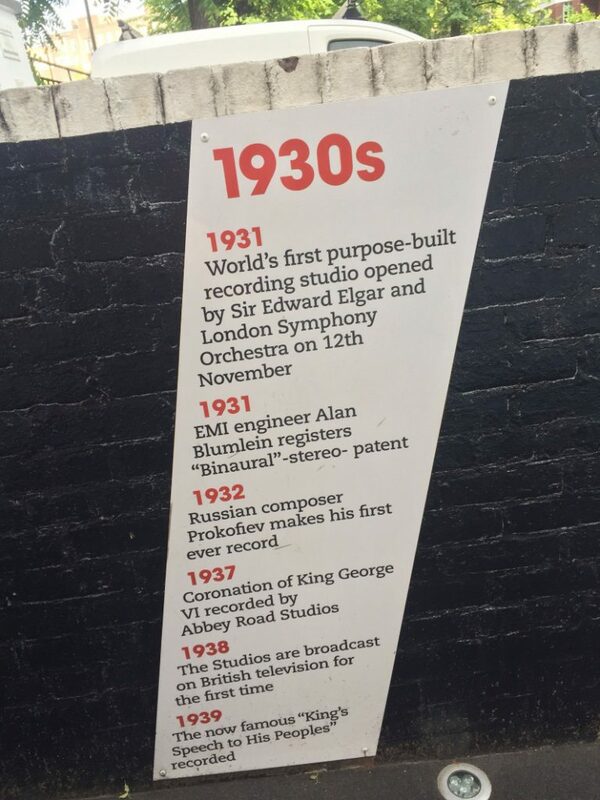 Opened as EMI Studios in 1931, this timeline certainly highlights what a great year 1931 was for EMI and for the invention of Stereo by a 27 year old engineer - Alan Dower Blumlein. 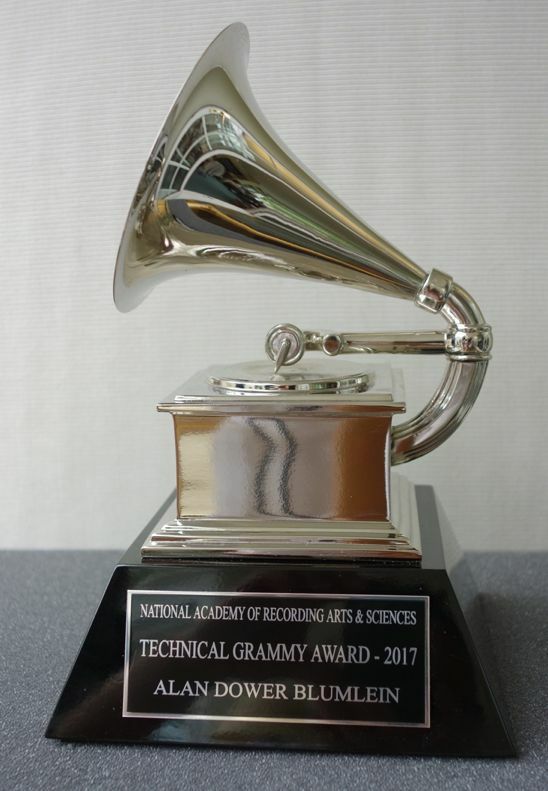 National Academy of Recording Arts & Science | Technical Grammy Award 2017This is the magnificent GRAMMY® awarded posthumously to Alan Dower Blumlein by the Recording Academy for the invention of Stereo and contributions of outstanding technical significance to the recording field. 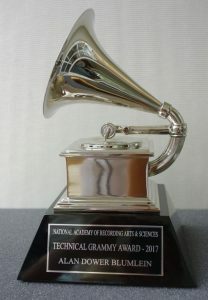 Alan Dower Blumlein was the 2017 Technical GRAMMY® recipient. Halifax V9977This is same model of plane that was being used to test the H2S Airborne Radar on the 7th June 1942. 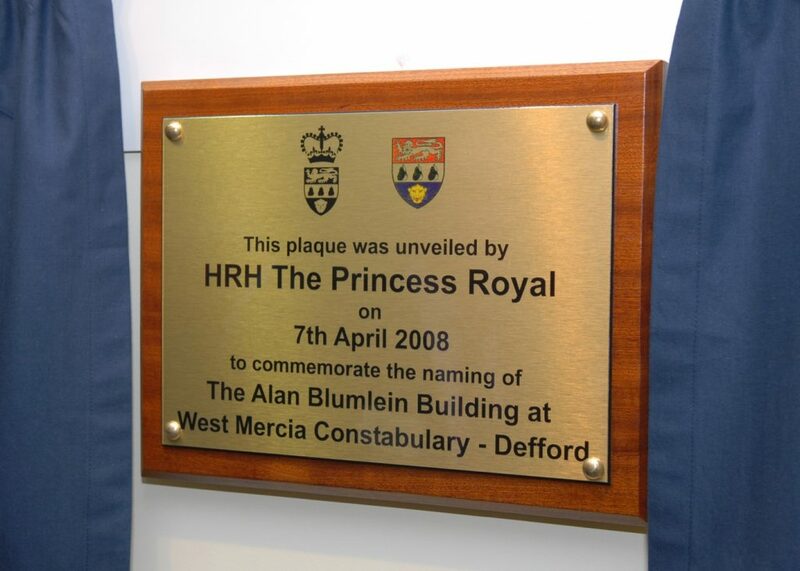 West Mercia Constabulary Tribute - Alan Blumlein7th April 2008, Princess Anne dedicated a building at RAF Defford to Alan Blumlein and unveiled this plaque. 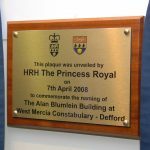 RAF Defford is where Alan Blumlein and his EMI colleagues flew from on the 7th June 1942 and sadly never returned.